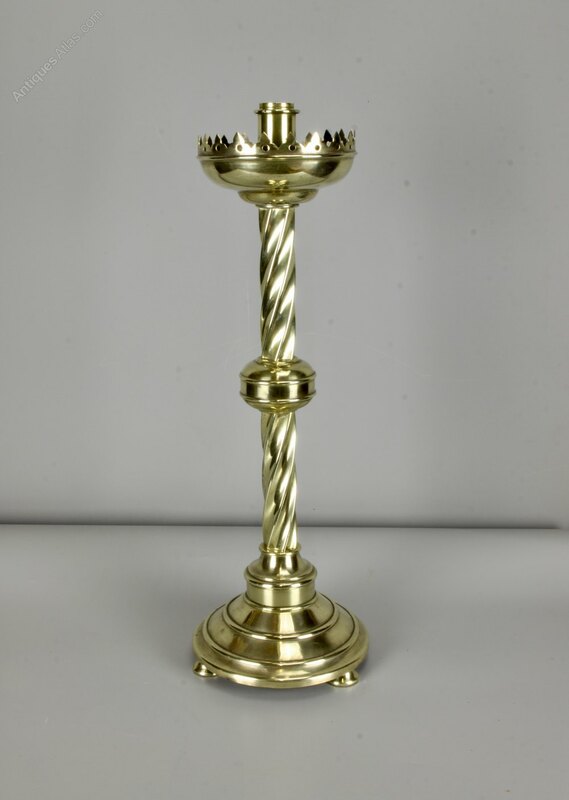 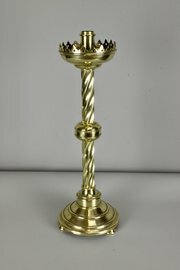 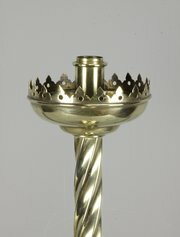 A great Victorian Gothic brass candlestick, dating to circa 1880, of good weight and quality. 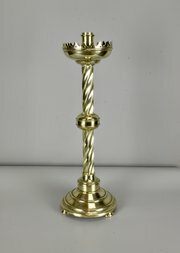 It measures 49cm high with a max diameter of 16cm at the base. 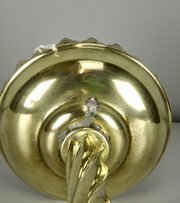 It is offered in pretty good condition, commensurate with age, although there is an old soldered repair to the base of the sconce which can be seen in the last photo.